Cape Town Carbon Observatory: Why Measure Atmospheric Carbon? So when I say "atmospheric carbon", I really mean carbon in it's gaseous form, usually carbon dioxide. And why do we want to measure it? Well, of course, because of climate change, and the greenhouse gas effect that carbon dioxide and its other cousins cause. I'm not going to argue about whether climate change or "global warming" is happening or not, or who's fault it is, but if you feel like going along that tangent, you can have a look at http://www.youtube.com/watch?v=S1pmj8JA7Qk or http://www.youtube.com/watch?v=6Bmlp9vQoIM, both which give a physics point of view. I like the physics arguments, because you can test them at smaller scales and see it happening before your eyes, there are nice mathematical equations to go with it, and I make it a rule never to argue with physics. I've also personally seen David Randdall talk about the atmospheric physics, and find him very convincing, which gives me confidence that I'm not entirely mad to be doing this type of science. What we do know is that carbon dioxide, a by-product of many of the activities we are involved with during the course of an average day, is increasing in the atmosphere. 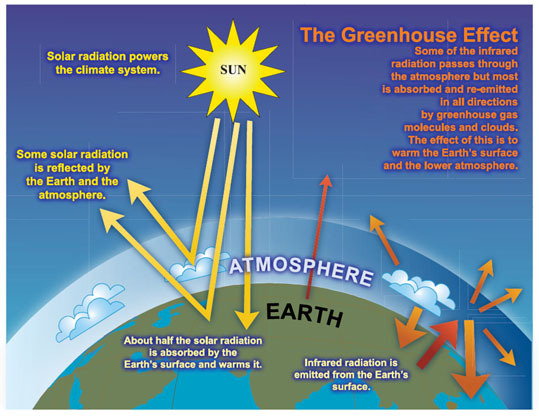 The atmosphere affects our climate, and the atmosphere, in its current composition, is what makes our planet the nice, comfortable place it is to live on. The planet has several mechanisms to ensure that the carbon dioxide concentration stays in check, such as absorption by plant material (with the added bonus of releasing oxygen - kinda important for life on earth) and absorption by the ocean. Ironically, if carbon dioxide concentrations keep on increasing, and climate change carries on in its current trajectory, some of those mechanisms are going fail, particularly those linked to the oceans. 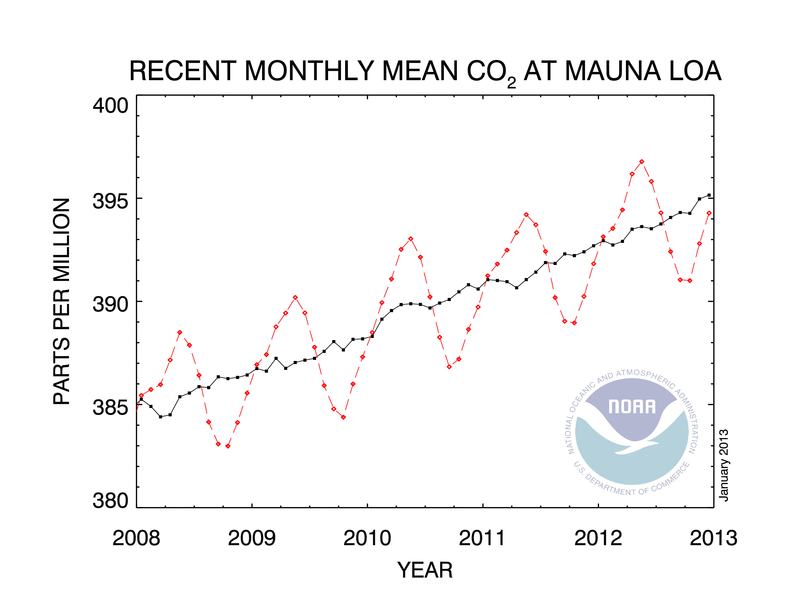 And then the rate at which carbon dioxide concentrations go up is really going to get out of hand. Countries are starting to wake up and realise, that maybe we can't just carry on as usual and let carbon dioxide and other greenhouse gases just increase in the atmosphere, because maybe then we may actually change the atmosphere so much, that the planet may not be so hospitable to human beings any more. And pretty much life on planet Earth as we know it may change, and not to our liking. This has lead to international efforts, like the Intergovernmental Panel on Climate Change, who are trying to create binding agreements that will lead to a united effort towards mitigating climate change. Well to know whether any sort of mitigation effect is working, we need to know how the carbon dioxide -most importantly - and other gases, are changing in the atmosphere. Knowing what the concentration is in the atmosphere gives us a place to start from, and allows us to monitor how we're doing through time. And just to make things more complicated, the concentration of these gases is not the same everywhere in the atmosphere. It's slightly different between the Northern and Southern Hemispheres, and it changes through time as well, with the seasons. It will also depend on how close the atmosphere is to anthropogenic sources. So knowing what the concentration is at a particular place, and a particular moment, is not really useful. But knowing how much it is today, and at exactly the same place again tomorrow at the same time of day, provides information on change. 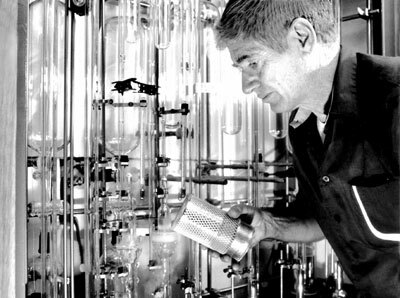 The most famous scientist in this area of research is probably Dr. Charles David Keeling, who really pioneered the way forward for continuous measurement of carbon dioxide in the atmosphere, and who initiated measurements at the Mauna Loa Observatory. This observatory is at a high elevation, more than 11 000" above sea leave, and out of the way of strong anthropogenic influences. It measures what is referred to as "background" levels of carbon dioxide. It's due to these measurements, that the first real evidence of increasing carbon dioxide levels came to light. And now there are several of these stations all over the globe, but particularly concentrated in the Northern Hemisphere. 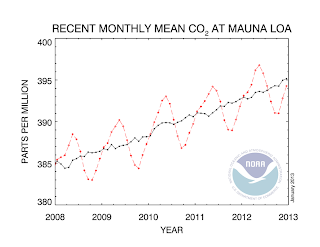 All of these stations show the same thing - increasing carbon dioxide over time. One of the premier stations for measuring carbon dioxide is Cape Grim, located on the north-west tip of Tasmania, and has been measuring the composition of the atmosphere since 1976. But there are far fewer measurement stations in the Southern Hemisphere, and so that's where I come in. It's my goal to increase the density of carbon dioxide measuring stations across South Africa, from one to more. Currently the longest term record South Africa has is from the measurement station at the Cape Point Global Atmospheric Watch station, run by the South African Weather Service, and headed by my good friend Ernst-Günther Brunke, and it's been measuring carbon dioxide levels since 1991. To this network, through funding from the CSIR (Council for Scientific and Industrial Research), I've added two more stations, one at Robben Island and one at Hangklip. These stations are located on the fringes of the City of Cape Town. Through the method of inverse modelling, my goal is to estimate the emissions of carbon dioxide taking place over the City of Cape Town. More about this in future blogs. The math of it has no bias! It is nice to see intelligent methods are at work.